Case is 100% handcrafted by our professional artists with fashion taste in mind. All crystals & decorations are added onto the case, one by one, by our artists, who use over 1000 crystals / decorations on this case. Please allow 7-12 business days for production. For maximum protection of your phone, we use premium quality hybrid hard clear case with shock absorb TPU bumper. The back panel of the case is made with acrylic, and TPU bumper offers raised beveled edge keeps your touch screen safe. Pronounced buttons are easy to feel and press, while large cutouts fit most cables, also compatible with any type of screen protector. 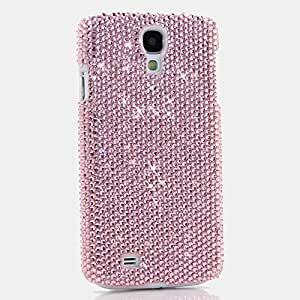 Since May 2007, LuxAddiction was established to provide top quality luxury hand-crafted accessories for variety of phones / devices at a reasonable price. We make honest, unique, durable and timeless products. LuxAddiction products are not mass produced. LuxAddiction cases are handcrafted with extreme attention to detail using the highest quality crystals & materials. Each precious crystal is attached to the case carefully by our professional artists with the fashion taste in mind. We use a mix of 100% authentic Swarovski crystals + high quality *BLING* Australian crystals + special made accessories / decors. All crystals and accessories are strongly attached with our special made glue that will not easily fall off. LuxAddiction Case + Extra Crystals will be included. Set yourself apart from the crowd with a LuxAddiction case that reflects your tastes and passions. Be prepared to get tons of compliments every time you take it out with you!